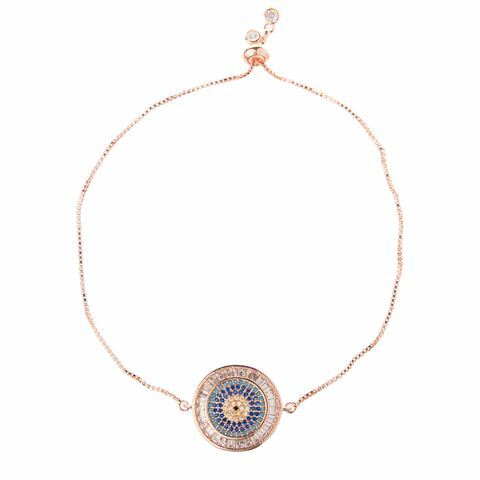 This stunning Rose-Gold Eye chain bracelet takes centre stage and is designed to make you dazzle. Measuring 12cm long, it sits comfortably and elegantly on your wrist for night and day wear. The Eye gemstones creates a feminine combination and gives a sophisticated touch. 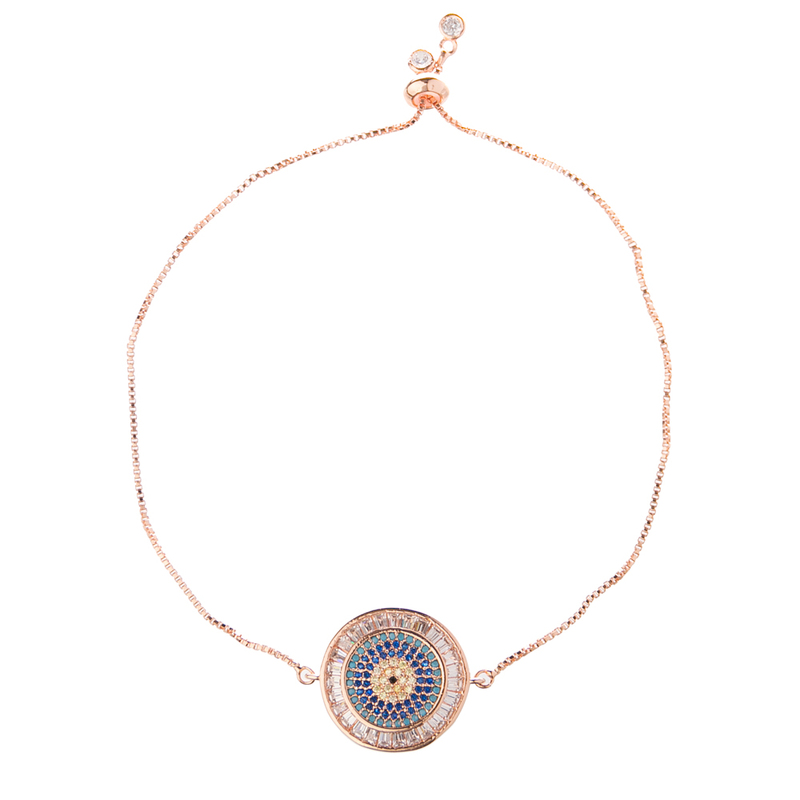 Made with an eye gemstone and rose gold chain. Closes with a pull through clasp.